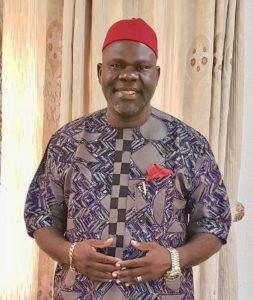 Only recently, the internet was awash with video clips of a certain Professor Ibeabuchi who was the Returning Officer in the Imo West Senatorial District election that held on 23 February 2019 claiming that he “calling the result” of the said election under “duress”. Ordinarily that type of allegation of duress should be a serious issue as no one, no matter how highly placed, is expected to unduly interfere with the legitimate functions of INEC officials during the conduct of elections. However, from the collateral circumstances of the case and as corroborated by the commonly available video evidence of this unfortunate outburst, we think our colleague and fellow University don was just blowing “a face saving grammar” with which he has now confused laymen and partisan commentators the more. Acting under a sense of duty and to enlighten an otherwise legally ignorant audience, we make bold to explain that under the law, “duress” is a vitiating element to an already completed act or action. The rebuttable presumption of the law is that everyone is bound by his document or act. The Returning Officer is bound by the Senatorial election result he declared. The legal defence of “duress” is asserted to negative the bindingness of an already completed act or action. Therefore, he who asserts duress must prove it with cogent, credible and verifiable evidence. The burden of proof of duress therefore rests squarely on the said Returning Officer. It is indubitable that the said Returning Officer certainly does not understand what amounts to “duress” in law as there was clearly no scintilla of evidence of “duress” in the circumstance before and leading to the declaration of the result. 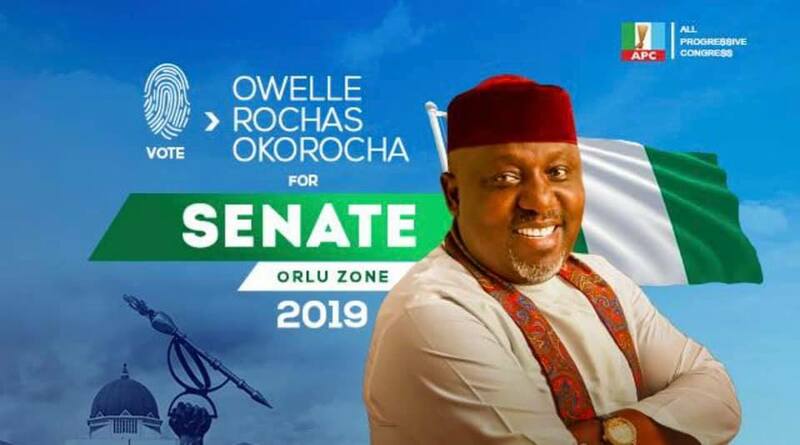 (a) the result he was to declare as a Returning Officer was already collated, compiled and computed and ready for declaration in all the affected polling units, wards and Local Government Areas that make up the Imo West Senatorial District. His responsibility at this stage was simply to declare the results as already collated and no more and which he did. The settled law is that a person who performs his lawful public duty cannot repudiate it by claiming duress. That is also the substance and basis of the writ of mandamus which is a comnand of a court directing a person to perform a public or statutory duty which he is refusing, neglecting or failing to perform. (b) The Returning Officer has the burden of proving that he acted under duress when he duly declared the said Imo West Senatorial District election result in public glare and more particularly in the INEC approved venue for declaration of the result. His half-hearted claim of “duress” would have held some water if he was whisked away from the Collation Centre and taken to one obscure place in the control of those he is accusing of applying the duress. The presumption of law is that the Senatorial Collation Centre is the lawful and authorised venue for declaration of the result of the election and that is where he declared the result. (c) The Returning Officer has the additional burden or onus of proving duress when from the video evidence, he duly declared the said result in the presence of critical stakeholders whom he freely acknowledged their presence by way of protocol before declaring the result in the said video. A person under duress will not have the luxury of observing Protocol. A court of law will take judicial notice of that as he will not do that if he was under any present or grievous danger. Those in attendance and acknowledged by the Returning Officer when he declared the result are security agencies including an Assistant Commissioner of Police/Area Commander, the Electoral Officer called “EO” (both of whom were flanking him) and party agents. The Returning Officer has the onerous burden of proving that the Police, Army and SSS and Civil Defence officers who were there in their numbers at the declaration of the result were standing by and watching the “duress” even when he acknowledged in a subsequent interview that the security agencies were professional in the discharge of their duties on that occasion. (d) The Returning Officer has the additional burden of proving that he was under “duress” when he declared the said result in front of INEC accredited journalists and TV stations/crew and camera, Election Observers, party agents and other stakeholders at the Senatorial Collation centre. From the foregoing, it is evident that the mere oral and misguided assertion by the Returning Officer that he was declaring the result under “duress” does not meet the weighty requirements of the law. We need to surmise that because a Returning Officer was not allowed to run away from the collation venue with already collated results by vigilant party agents is not and can never be “duress” or “hostage taking”. The party agents present at the occassion were under a duty to their principals to ensure that unsuscrupulous electoral officials do not shortchange the process and or mandate of the people freely given via the ballot box. Going forward, now that the Senatorial election result has been declared and a clear winner has emerged, the wild and unsubstantiated story of declaring the result under “duress” go to no issue as it is manifestly untenable in law. Anyone dissatisfied with the outcome of the said Imo West Senatorial District election is at liberty to approach the Election Petition Tribunal for judicial redress. We are alarmed by the mischievous circumstances of this case as it clearly underpins our strident calls for the establishment of an Electoral Offences Commission to deal with things like this. We are worried that if erring electoral officials are not routinely brought to face the long arm of the law, our election outcomes will continue to be for the highest bidders. We are weighing in on this needless controversy because if this public enlightenment does not go out, we imagine that in the next round of Governorship and State Assembly elections, we will have electoral officials who will choose to travel this mischievous and laughably ignorant part of claiming that they were acting under duress without more when in fact they were performing their legitimate assignments. Conclusively, he who pleads duress must prove it. As they say, ignorance of the does not excuse…ignorance of the law is bliss, but only fools enjoy it. Prof Obiaraeri, N.O., Ph.D (Law), B.L., etc.